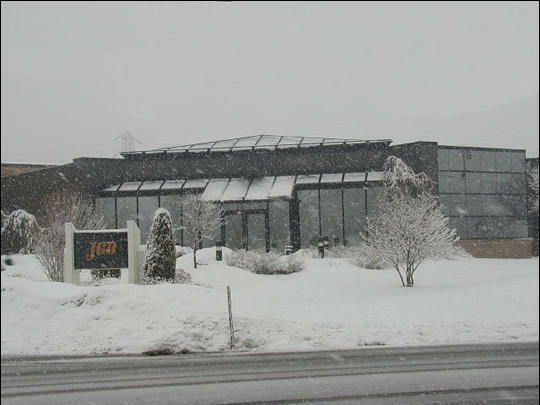 JGB Tour Page - Company Overview and History - JGB Enterprises, Inc.
Just another beautiful day at JGB in Syracuse, NY. OK,OK, it's nice here in Syracuse too. 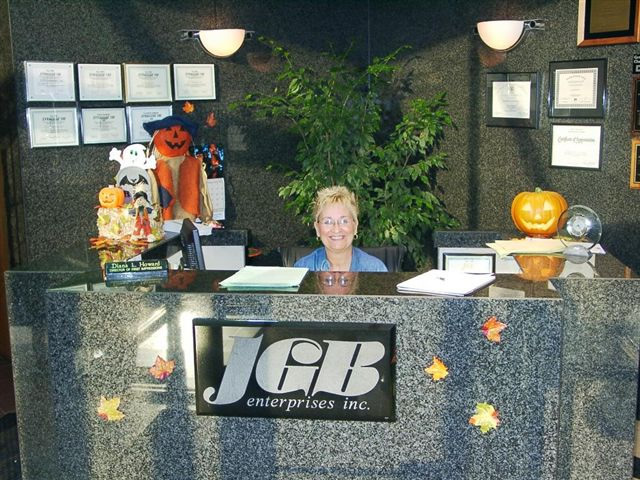 JGB's front desk, where guests are welcomed by helpful hands and smiling faces. 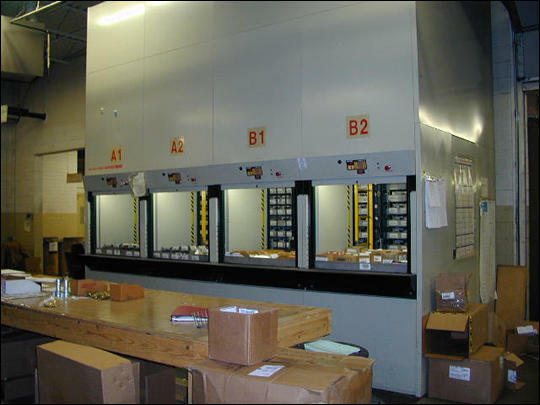 JGB's state-of-the-art inventory mechanism is just one example of our tools used for organization and preparedness. 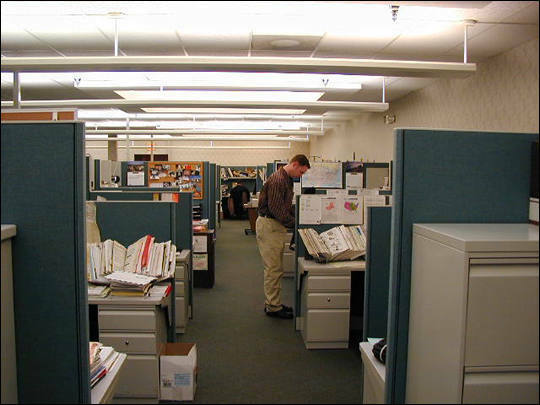 JGB has many office employees here always to satisfy the needs of our customers. 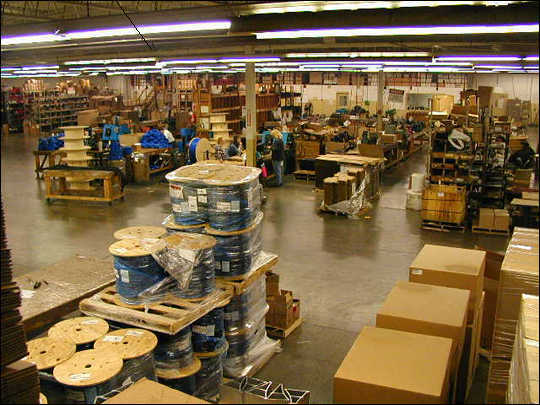 Here is a bird's eye view of JGB's assembly center. 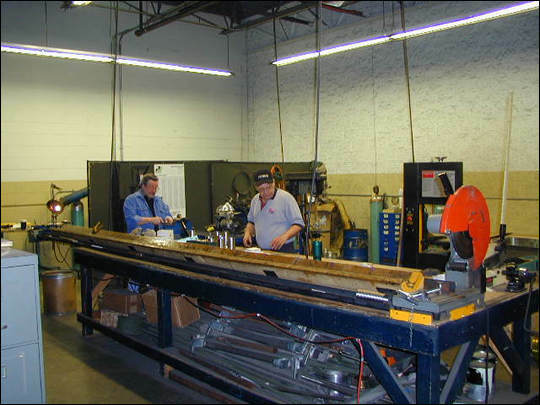 This is where bulk hose is cut, coupled, packaged,and shipped. 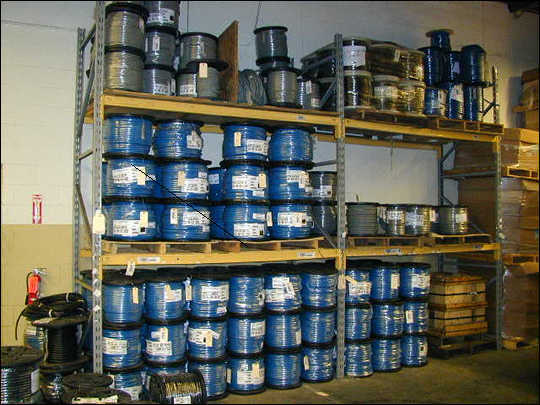 And bulk hose on reels. 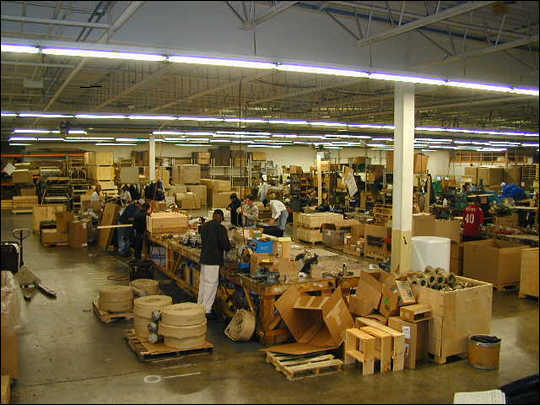 Here is another shot of JGB's knowledgeable staff hard at work to make sure your order ships quickly and efficiently. 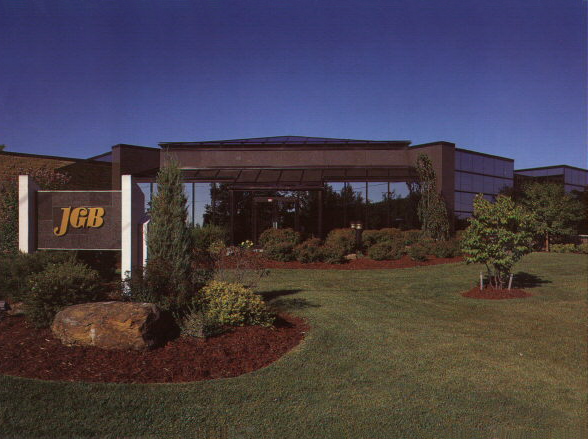 JGB's original storage facility. 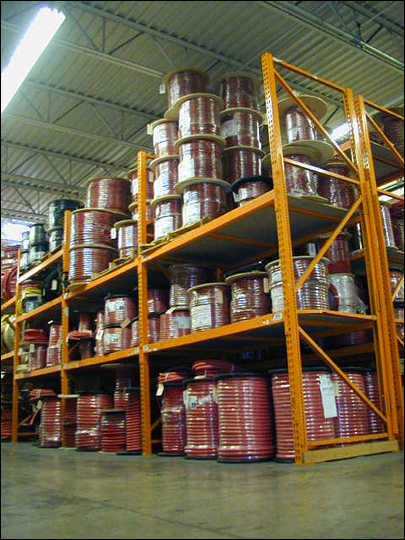 It houses tens of thousands of hoses in roughly 15,000 sq. ft.
JGB is fully equipped with all the necessary hose fittings to satisfy your hose requirements. 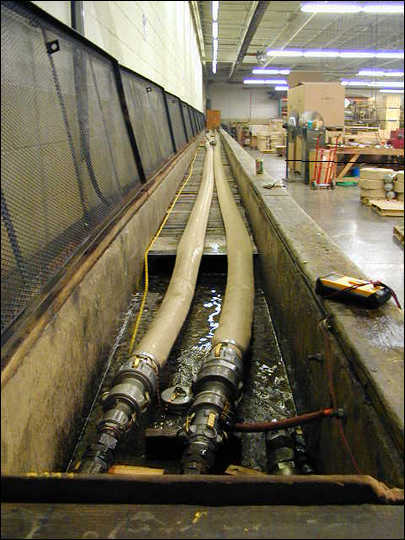 JGB's testing facility ensures that your hose will be durable and leak free. 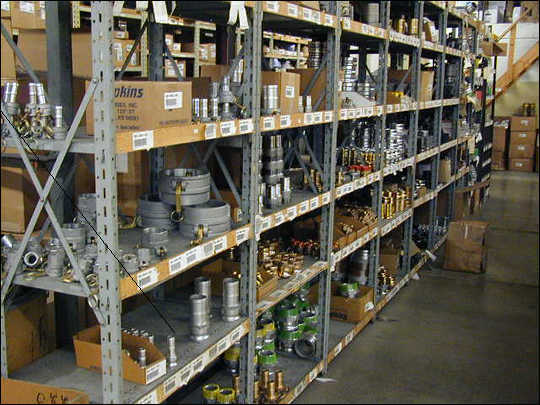 JGB offers nothing but the best quality hose and fittings for all of your needs. 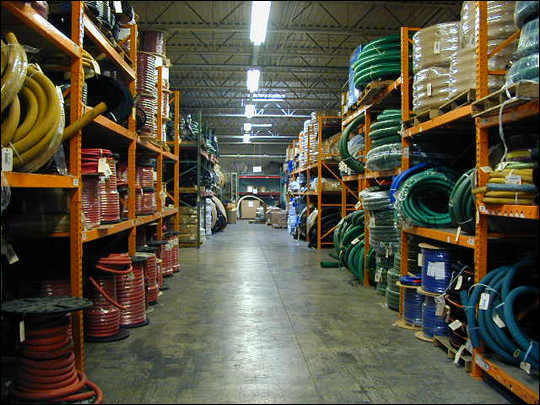 We hope these photos of our home office facility have given you the proof necessary to come to us for all of your hose needs.